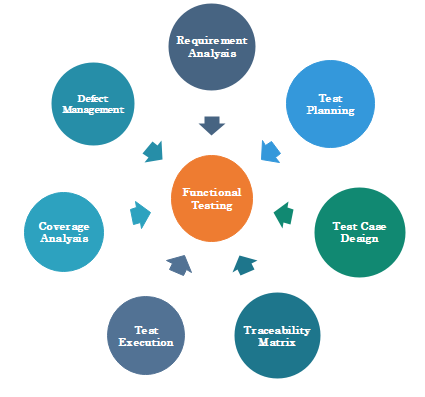 Functional Testing is a branch of software testing, intended to verify the functionality of the software application whether the function is operating according to the requirement specification. Each and every function is tested by giving appropriate input value, determining the output and verifying the actual output with the expected output. Functional Testing includes testing via GUI (Graphical User Interface), API (Application Program Interface), security, Database, client applications, server applications and functionality of the Application. Black Box Testing method is used for functional testing in which working of internal logic is tested without peering into internal code. 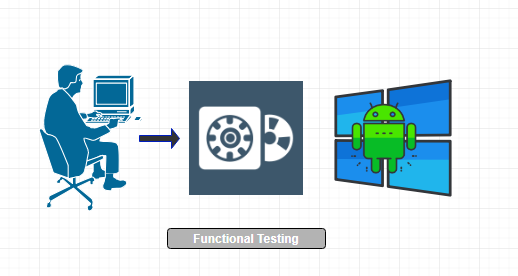 The goal of functional testing is to check main entry functions, essential usable functions, easy flow of screen GUI and displaying of error messages whether a user can easily navigate throughout the application. Tester does verification of requirement specifications. Tester makes a plan of testing. Test cases designing according to functions is done in this step. Make a document of Traceability Matrix. Execution of designed test cases. Coverage analysis is done to examine the covered testing area of the application. Defect Management is done to manage defect resolving. Understand the required task of the function. Calculate the expected outputs from identified input values. Execute all test cases one by one. Compare the actual output with expected output. It ensures the satisfaction of the client or end user. It ensures that all the functionalities have met according to their requirements. It ensures the expected work performance of the software application. It reduces the risks associated with the software. It ensures safety and security. Production of a defect-free software application is possible due to functional testing. Functional testing is mainly done via Manual Testing which requires human resources. It requires a lot of concentration, so if a tester loses concentration, then there can be a severe defect in the system. It requires well skilled and experienced testers.